The House System is an important extension to the Collegiate’s pastoral programme. In addition to encouraging pride, respect and personal responsibility amongst students, it is intended that the House System instil in students a sense of ownership and “belonging”. 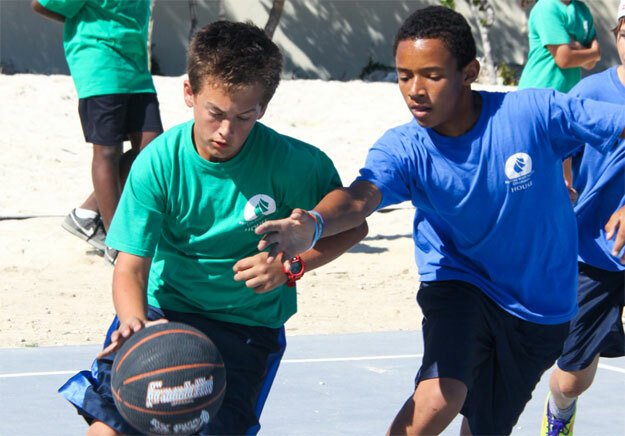 The smaller House communities engender healthy rivalry in friendly games and other extra-curricular activities, build team and leadership skills and promote co-operation. There are three Houses within the British West Indies Collegiate: Niña, Pinta and Santa Maria, named after the ships of Christopher Columbus. Every student will join a House in Year 6 (or in whichever year they enter the school) and belong to the same House until they leave. We strive to ensure that children with older siblings join the same House as their brothers and sisters. Other than that, we try to ensure the best possible spread of academic, sporting, musical and leadership abilities. The House System helps build an individual’s strengths within a group and create a bond with other students of all ages. As students reach their senior years at the Collegiate, it is hoped that they will become increasingly involved in running their Houses and co-ordinating House activities. Each House elects its House Captain from the Sixth Form and its House Vice-Captain from Years 10 or 11 at the start of the Michaelmas Term. Once elected, Captains and Vice- Captains will remain in place until the early part of Trinity Term, when a new Captain will be elected from Year 10, and a new Vice-Captain from Years 8 or 9. Students are encouraged to take into account responsibility, leadership qualities and sporting/academic achievement when considering their votes and nominations. To encourage ‘responsible’ nominations, all House Points received by House Captains and Vice-Captains are doubled – as are points lost. Each member of the teaching and non-teaching staff (other than Principal and Vice Principal) is assigned to a House. One or two members of staff in each House undertake the role of Head of House. It is their responsibility to lead and timetable House Assemblies, and provide encouragement and support to their various teams competing at any one time. In school, students will earn House Points for particularly good pieces of work; high levels of effort; contribution to school life; helping others; etc. These points will all add up towards a cumulative House total and, at the end of the year, decide the outcome of the Frederick Krieble House Cup. Points allocated to students are recorded each morning by the Vice Principal. Running totals for Students, Years and Houses are automatically generated, and tables showing positions, points breakdown and total points for each House are displayed on noticeboards in school corridors as well as in respective House baserooms. Tables showing the current positions within each year group are displayed in respective homerooms. Full tables are printed and published each Monday. The Houses also form the focus of various competitions, sporting and otherwise, including National competitions. Students earn points for their House by taking part in these events, earning more depending on how well they do. House members are encouraged to write reports and produce photographs of these events, which can later be published on the school website. Parents are encouraged to come along to support their child, and to cheer for their House. As the House system has evolved – and as bonds have developed – it has become the heart of the school pastoral programme. It links with other pastoral initiatives, such as the reading programme, where mentors are paired with younger mentees from the same House. This may be extended in future years to include peer and cross-age tutor groups.